HILDALE — The swearing-in ceremony in Hildale Thursday evening was standing room only, as Donia Jessop was formally sworn in to begin her term as mayor of Hildale – along with three newly elected city council members: Maha Layton, Jerod Nicol and Jvar Dutson – in front of hundreds of onlookers after prevailing in the first open election in the town’s history. 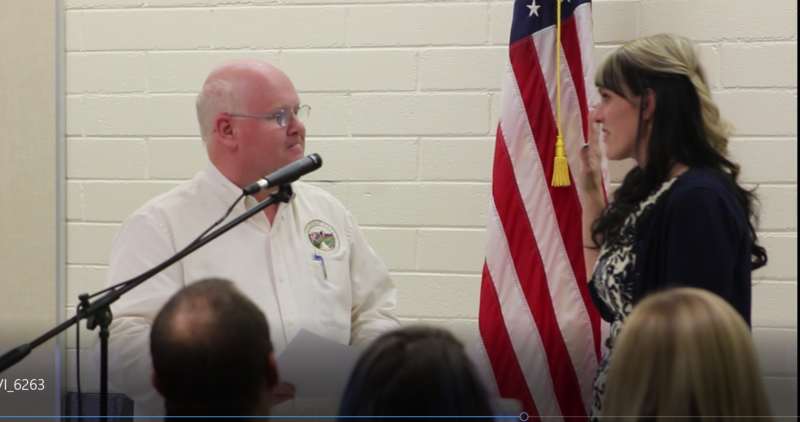 It was a sweeping victory for the challengers that took an oath of office during a ceremony held in the auditorium of Water Canyon School in Hildale. 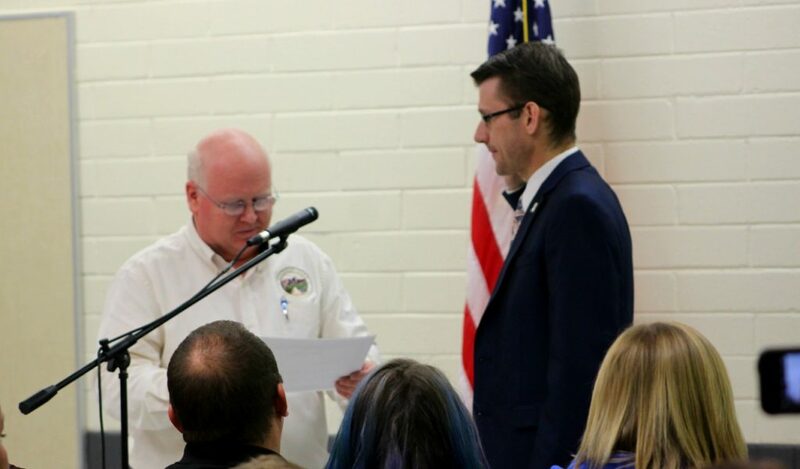 The ceremony is generally held at the Hildale City Government Offices, but a change of venue was ordered just before the event was scheduled to begin. 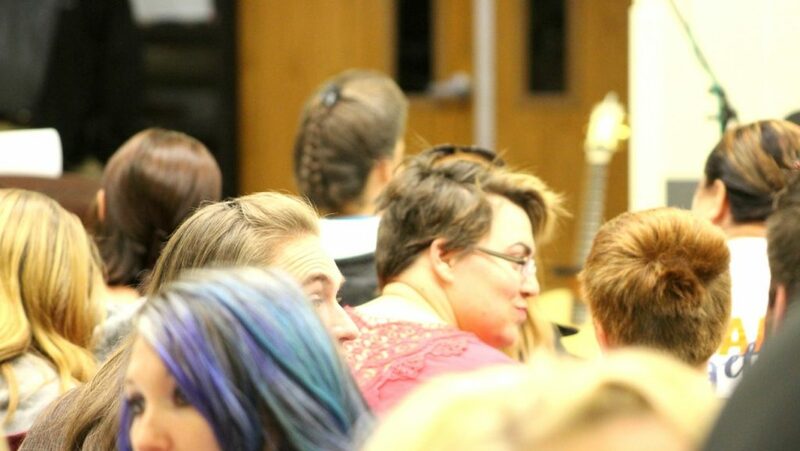 The school provided a larger venue for nearly 200 individuals who gathered in the auditorium while an officer with the Cedar City Marshal’s Office stood watch at the door. The historical implications of unseating municipal positions previously held by members of the Fundamentalist Church of Jesus Christ of Latter Day Saints are far reaching. Hildale’s municipal government has been made up of members of the FLDS church for decades, with Hildale and Colorado City, Arizona, serving as the church’s headquarters. 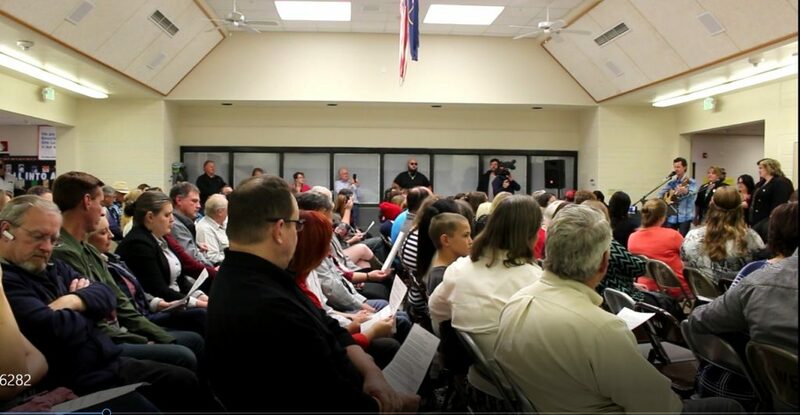 Read more: Hildale elections represent history in the making for the predominantly FLDS community. 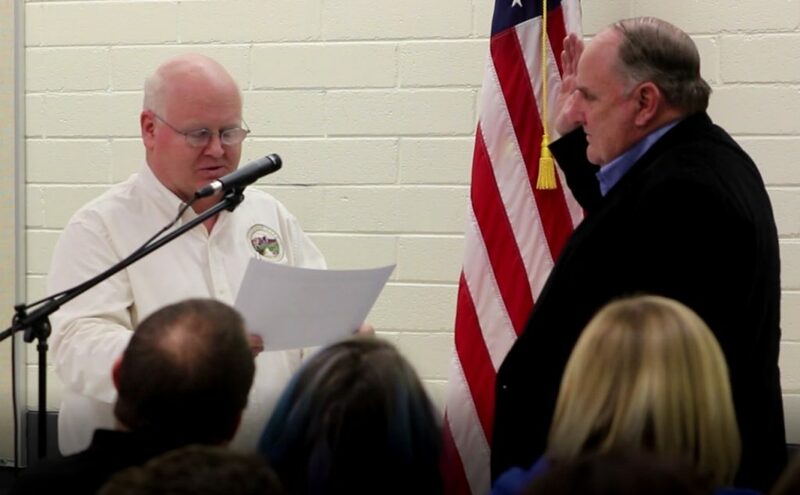 This was the first time in the town’s history that non-FLDS candidates, two of whom were not only ex-FLDS but also female, were elected into office. The demographics of Hildale have changed over the last few decades, ultimately leading to a majority of non-FLDS citizens who have moved – or in some cases, returned – to the community. 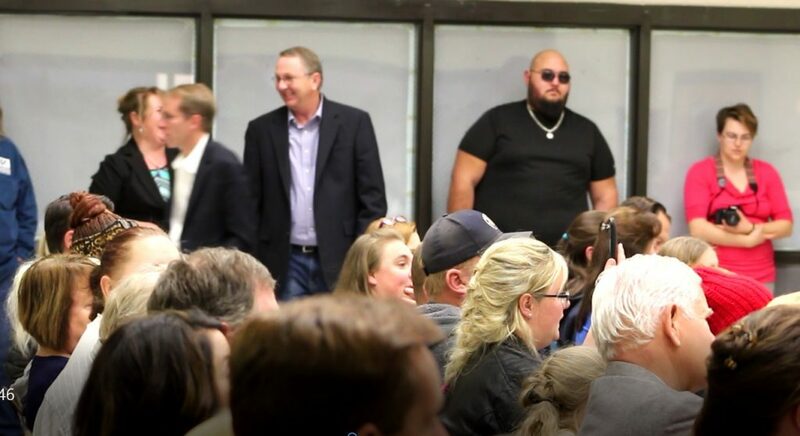 With these changing demographics, people questioned the reputation of the city government as a closed system made up exclusively of male members of the FLDS church and raised the need to hold open elections, as well as provide more transparency in local government. The ceremony held Thursday came in the wake of those changes. Jessop said Thursday that her first order of business concerns relationships. Jessop went on to say that the rebuilding process will take time, but the planning has already begun. She also said rebuilding the community’s infrastructure and strengthening municipal services were priorities, with water, roads and internet being at the top of the to-do list. 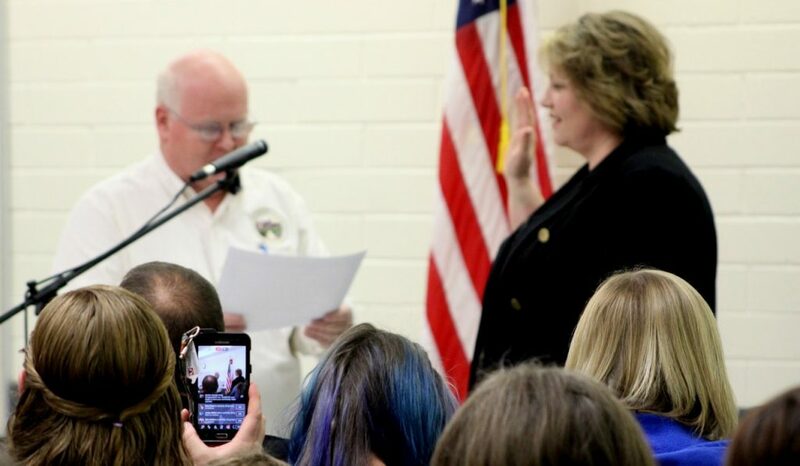 Layton was sworn in to serve a four-year term in the City Council. She was born and raised in Hildale, which she said gives her an inside perspective on the many changes that have taken place over the last several years. 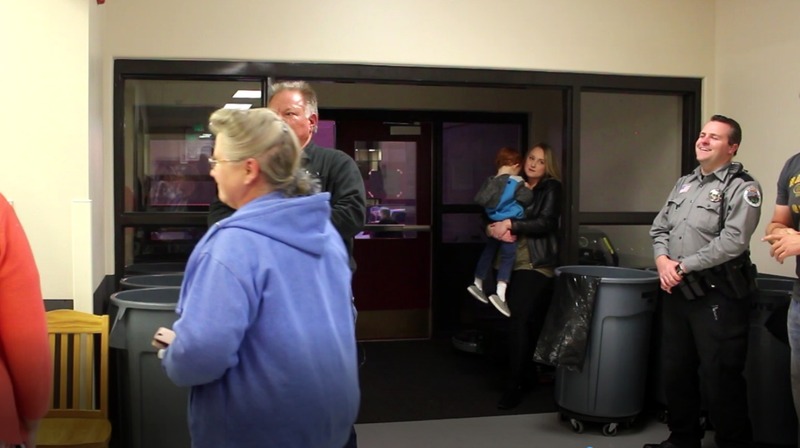 Layton reiterated the need to restore a sense of community and said she is excited to see the changes taking place now, as well as the changes to come. “It’s about looking at the future, and we see the future here tonight,” Layton said. Nicol, another newly elected council member serving a four-year term, moved to Hildale from West Valley with his wife and children after they fell in love with the area, but he said felt a desire to serve the struggling community much earlier. “I knew before I moved here that there needed to be change, and I wanted to be a part of that change,” Nicol said. Nicol and his wife volunteered with an organization out of northern Utah delivering clothes, shoes and other items in the area before purchasing a home and relocating just over two years ago and said he is familiar with the issues facing the community. He reiterated the importance of a more united town. Re-establishing a sense of belonging and unity is important to him both personally and as a council member, he said. Thursday’s ceremony was the culmination of more than three years of work, he said, for himself and the group. “So many people came to the swearing in and reception and to enjoy this moment,” Nicole said. Dutson was elected to a two-year term, replacing a council member who resigned. Issues the newly elected officials expressed as being important to the community range from an acute loss of business-related revenue and an underdeveloped tourism industry to a major shift in population that has led to undefined demographics. But the top of the list for all officials refers to the Hildale sense of community. “This is about rebuilding our community by rebuilding relationships – that’s what this is all about,” Jessop said.